On the eve of a major presentation outlining his Mars exploration plans, SpaceX Chief Executive Elon Musk announced early Sept. 26 the first test of a rocket engine believed to be a key element in those plans. Musk, in a series of tweets, disclosed the test of the Raptor engine, which uses methane and liquid oxygen propellants rather than the refined kerosene and liquid oxygen of the company’s Merlin engines. Musk did not disclose details about the test, including when it took place and how long it fired. A company executive recently that SpaceX would soon begin Raptor tests. In An Aug. 9 speech at the Conference on Small Satellites in Logan, Utah, SpaceX President Gwynne Shotwell said the company had just shipped the first Raptor engine to the company’s Texas test site. “We should be firing it soon,” she said then. Two U.S. companies have developed an airline tracking system that they say would prevent planes disappearing in the manner of the Malaysia Airlines MH370. Instead of sending tracking signals to ground stations - which means planes' locations can be lost over oceans or remote areas - the new system would beam them to satellites. "It doesn't matter if they're flying over the ocean, desert, or North Pole, we'll know where the plane is," said Daniel Baker, CEO of FlightAware, the internet flight tracking service which is working with Aireon LLC, which has developed the satellite technology. Inmarsat launches its 3rd Technology Development Programme at New Scientist Live in London with British ESA astronaut Tim Peake. A career in the rapidly expanding space industry is not just about launching and flying spacecraft according to Inmarsat, a world leader in mobile satellite communications. Announcing the company’s search for its next generation of ‘space pioneers’, the company’s Chief Technology Officer (CTO), Michele Franci, emphasised that to remain a global leader, Inmarsat is focused on attracting world-class engineering talent. Investigators have traced the explosion that destroyed a SpaceX Falcon 9 on the pad Sept. 1 to a “large breach” in the helium system in the rocket’s second stage, although the root cause of the accident remains unknown. “At this stage of the investigation, preliminary review of the data and debris suggests that a large breach in the cryogenic helium system of the second stage liquid oxygen tank took place,” the company said in a statement. What caused that breach, though, is still a mystery. The European Space Agency (ESA) and the French space agency CNEScompleted a test firing of the Ariane 5’s solid-propellant booster on Sept. 8 in Kourou, French Guiana. The burn lasted 128 seconds with the motor delivering a mean thrust of more than 500 tons, simulating the firing time of an Ariane 5 flight. ESA and CNES conducted the burn to ensure that the launcher’s qualification, reliability and performance levels are maintained. The test demonstrated the motor’s capabilities and qualified improvements in design resulting from obsolescence or changes in technology. A wildfire burning at a central California Air Force base on Sunday forced the postponement of a satellite launch, officials said. An Atlas 5 rocket was to carry a satellite known as WorldView-4 into orbit from Vandenberg Air Force Base. The satellite is designed to produce high-resolution images of Earth from space. The fire burning in a remote canyon didn't immediately threaten the space launch complex, Col. Paul Nosek said on the base's Facebook page. But he said the blaze required firefighters to be redeployed from standing by at the launch. Nearly 800 firefighters were trying to corral the fire that was nearly 2 square miles in size. SES has unveiled its first Government+ product offering: Tactical Persistent Surveillance (TPS), an inflatable aerostat-technology capable of hosting a variety of advanced Electro-Optical (E/O) sensor and communications payload options at altitudes up to 1,000 feet. TPS is a portable, modular solution capable of quick global deployment and operations for surveillance and communications activities, designed to provide enhanced situational awareness for border security, special event monitoring and disaster response missions around the world. The sensor payload can transmit or backhaul Intelligence, Surveillance and Reconnaissance (ISR) video and data via satellite to a centralized monitoring and control center using small aperture and quick deploy flyaway Ku-band antennas. Officials with the Russian state space corporation Roscosmos said Sept. 26 they planned to reduce the size of their crew on the International Space Station next year from three to two. The comments, by Roscosmos head Igor Komarov during a press conference at the International Astronautical Congress (IAC) here, confirmed Russian media reports dating back to August that Russia would reduce its crew to save money. The U.S. Department of Defense (DOD) wants to make sure its future ground system for government satellites, known as the Enterprise Ground Segment (EGS), makes cybersecurity a much bigger priority compared to the approach taken with ground systems currently in use. Today, DOD ground systems for military satellite programs all run separate from each other. EGS will seek to unify ground segment operations onto a single comprehensive system, but DOD does not want to make that system into a jackpot hack for intruders who could see it as an opportunity to get into every military satellite system at once. Speaking Sept. 22 at a Mitchell Institute event, Colonel Brian Bracey, chief architect at the Advanced Systems and Development Directorate of Air Force Space Command (AFSPC), said all of today’s DOD programs of record have the same problems in regard to cyber, and that the current defense strategy relies heavily on what DOD perceives to be the system’s greatness weakness: dissimilarity. A bipartisan NASA authorization bill introduced by several senators Sept. 15 would require NASA to evaluate alternatives to its Asteroid Redirect Mission (ARM) and develop a plan to transition activities currently performed on the International Space Station to commercial platforms. The NASA Transition Authorization Act of 2016, sponsored by Sen. Ted Cruz (R-Texas), chairman of the Senate Commerce Committee’s space subcommittee, is intended to address policy issues and give the agency some degree of certainty as a new administration takes office in January. “This NASA reauthorization bill brings us one step closer to reasserting American leadership in space by ensuring NASA has the certainty it needs to continue to grow and improve upon what it does best: lead the world in space exploration,” Cruz said in a Sept. 16 statement announcing the bill. Inmarsat Sponsorship for safety H.E.R.O. Inmarsat will commemorate the untimely passing earlier this year of one of the architects of its Maritime Safety Operations network by sponsoring the first International Maritime Rescue Federation (IMRF) H.E.R.O. Award for outstanding service to maritime search and rescue, 'The Vladimir Maksimov Award'. The H.E.R.O. (Honouring Excellence in Rescue Operations) Awards, launched by the IMRF in April this year, have been developed to draw attention to the extraordinary work done to save lives in maritime Search and Rescue (SAR) across the world. Partnership seeks to provide inflight entertainment and communications (IFEC) providers and airlines better efficiency and cost savings, through metamaterials based flat panel technology. REDMOND, Wash., Sept. 13, 2016 /PRNewswire/ -- Kymeta, the company delivering on the promise of global, mobile connectivity and TECOM, a Smiths Microwave brand and a leader in innovative design and manufacturing of high-performance antenna systems, today announced a Partner Development Program Agreement for the aviation market. Under the terms of the agreement, TECOM will incorporate Kymeta® mTenna® technology into an aviation grade terminal to demonstrate connectivity to a Ku-band satellite. COVINGTON, La., Sept. 13, 2016 -- Globalstar Inc. (NYSE:GSAT) announced today that alpha testing of its next generation duplex device, Sat-Fi2, has commenced in preparation to fully launch the highly anticipated mass consumer and enterprise product in early 2017. Building upon its predecessor, Sat-Fi2 allows customers to use their smartphones and tablets to stay connected when beyond cellular. With the newest model and second-generation satellites and ground infrastructure in place, businesses and recreationalists will experience affordable, seamless connectivity unprecedented within the MSS industry. The smaller, more portable Hughes-based form factor will enable a wide range of enterprise and individual customers to economically leverage the benefits of Globalstar’s newest mobile satellite network. SAN DIEGO--(BUSINESS WIRE)--Cubic Corporation today announced that its subsidiary GATR Technologies(GATR), which operates within the Cubic Mission Solutions (CMS) business division, and Intelsat General Corporation (IGC) successfully established a 26-megabits per second (mbps) downlink and a 10+ mbps uplink, carrying multiple data streams during performance testing of GATR’s prototype GATR-FLEX® sub-meter Ku-band, ultra-portable terminal. GATR and IGC performed a series of tests using the open architecture, high-performance Intelsat EpicNG satellite IS-29e, GATR-FLEX antenna and GATR’s e850 ruggedized iDirect satellite modem, which maximized the throughput of the iDirect Evolution series modems. The tests measured throughput while taxing a single satellite link with data, voice and high-definition (HD) streaming video, which is normally done by two separate terminals over separate networks. ITC Global has been awarded a three-year contract to provide broadband connectivity to the world’s largest semi-submersible drilling rig. The end-to-end service will enable the newly built rig to manage essential business communications and monitor and maintain operations through ITC Global’s Very Small Aperture Terminal (VSAT) solution. The ultra-deepwater, harsh environment rig has been commissioned by a major petroleum exploration and production company to begin operations in October in the Great Australian Bight, positioned on the coastline of southern and western Australia. Inmarsat is proud to announce that it has been awarded the ‘Global Satellite Operator of the Year’ title at Euroconsult’s 13th Annual Awards for Excellence in Satellite Communications. Euroconsult, the leading global consulting firm specialising in space markets, announced the winning recipients during World Satellite Business Week in Paris on 14 September. The annual awards recognise companies and their management for outstanding accomplishments in the satellite sector. This year’s CTIA Super Mobility show, held Sept. 7-9 in Las Vegas, Nevada, shone the spotlight most brightly on 5G and the Internet of Things (IoT). The killer app use case for 5G is IoT and, symbiotically, IoT cannot be fully realized without the higher capacity of 5G. IoT is the world of interconnected devices and includes smart cities, connected vehicles, smart homes, wearables, enterprise and healthcare solutions. The magnitude of growth forecast in connected devices is staggering; 23 billion in 2020 and increasing to 75 billion five years later, and will dwarf the number of smartphones, say analysts at Frost & Sullivan. The first launch of an Orbital ATK Antares rocket with a new first stage engine is now planned for early October, a company official said Sept. 13. Speaking on a launch systems panel during the AIAA Space 2016 conference here, John Steinmeyer, director of business development at Orbital ATK’s Launch Vehicle Division, said the company was working with NASA to finalize a date for the launch, which will carry a Cygnus cargo spacecraft to the International Space Station. 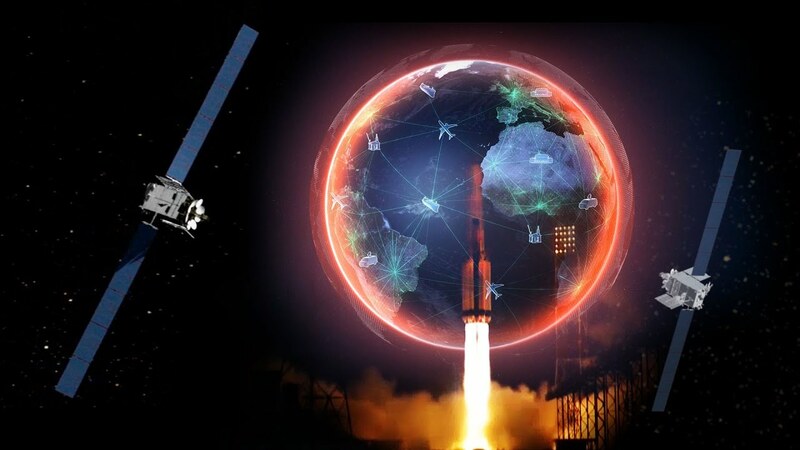 Airbus Defence and Space, owner and operator of the Skynet X-band satellite system, has struck up partnerships with Inmarsat Government, Hughes Network Systems, and SpeedCast to offer Skynet military satellite communication services. The three companies are able to offer Skynet services to Australian, New Zealand and U.S. forces operating across the globe. Inmarsat Government will include Skynet services as part of its portfolio offer to U.S. government customers. Hughes will use the partnership for U.S. government tactical missions, primarily using the Xebra service, which uses the Hughes HM300 lightweight X-band satellite terminal and Airbus Defence and Space’s Skynet capacity. 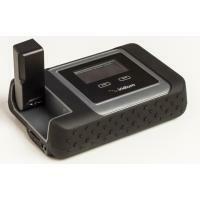 SpeedCast will be offering the tactical secure communications services to the Australian and New Zealand government. In addition, Airbus Defence and Space has recently appointed SpeedCast to manage a new anchor station facility for the Skynet 5A military satellite, which is based at SpeedCast’s existing teleport in Adelaide, Australia. PARIS — The commercial company with arguably the most at stake in a quick and successful return to flight of SpaceX’s Falcon 9 rocket on Sept. 8 gave a ringing endorsement of the launch-service provider even as SpaceX founder Elon Musk issued statements saying the investigation will be complicated. The comments from Iridium Chief Financial Officer Thomas J. Fitzpatrick at an investor conference came just hours before SpaceX founder Elon Musk, in a series of statements on Twitter, suggested the company does not yet know what happened. Inmarsat the leading provider of global mobile satellite communication services, today announced that its Global Xpress ‘SATCOM as a Service’ capability is ready for U.S. Government aero applications worldwide. Supported by the only commercial worldwide Ka-band constellation built for mobility, Global Xpress represents the first and only globally available high-throughput communication solution for aero connectivity. The service was successfully demonstrated in multiple user scenarios with U.S. government end users and in close cooperation with Inmarsat’s Value Added Reseller (VAR) and Value Added Manufacturer (VAM) partners. During CONUS and OCONUS world tour airborne and ground demonstrations, the Honeywell JetWave™ SATCOM terminals in the Fuselage Mount Antenna (FMA) and Tail Mount Antenna (TMA) configurations seamlessly connected with the Global Xpress network. KENNEDY SPACE CENTER, Fla. — An Atlas 5 successfully launched a NASA mission to visit a near Earth asteroid and return samples of it to Earth Sept. 8. The United Launch Alliance Atlas 5 411 lifted off at 7:05 p.m. Eastern from Space Launch Complex 41 at Cape Canaveral, Florida. No significant problems were reported during the countdown, and weather remained favorable throughout the day leading up to launch. The Atlas 5 launched NASA’s Origins, Spectral Interpretation, Resource Identification, and Security-Regolith Explorer, or OSIRIS-REx, spacecraft. The spacecraft separated from the Atlas nearly one hour after liftoff. Thuraya Telecommunications Company has finalized its next generation constellation plans to extend its geographical reach, move into new market sectors and launch new services and devices. The company announced its L-band network will undergo extensive evolution. While continuity is assured with both existing satellites Thuraya 2 and Thuraya 3 continuing to operate as planned, the current satellite footprint will be enhanced significantly with the planned launch of next generation satellites from 2020. The next generation system will focus on delivering high mobility services in core and new markets. These will be complemented with High Throughput Satellite (HTS) services for bandwidth-hungry applications in land, maritime and aeronautical markets. The constellation will be supported by highly advanced platforms for the provision of “new wave” Internet of Things (IoT) and content services, with multicasting and broadcasting capabilities. Following the explosion of SpaceX’s Falcon 9 rocket with Spacecom’s Amos 6 satellite, Arianespace CEO Stephane Israel said satellite operators have reached out to the company to inquire about launch services. However, the European launch services provider has only one launch slot for a large satellite available between now and the end of 2018. Speaking Sept. 12 at a press conference, Israel said the Arianespace manifest is the fullest it’s ever been, and the company is trying to create room for more launches to accommodate near-term demand. Iridium Communications Inc. (NASDAQ:IRDM) announced today that over the last 12 months, ending June 30, 2016, the company shipped over 2,200 Iridium Pilot® units, concluding with one of the best quarters in company history. 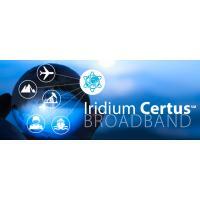 Iridium Pilot, which is powered by Iridium OpenPort®, Iridium’s current global broadband service, is one of the fastest growing maritime products in the Mobile Satellite Service (MSS) industry today. Over the same 12-month period, Iridium OpenPort subscriber base increased by 9 percent across the company’s vast partner network and customer base. Blue Origin has introduced New Glenn, its new reusable, vertical-landing booster. Named in honor of John Glenn, the first American to orbit Earth, New Glenn is 23 feet in diameter and lifts off with 3.85 million pounds of thrust from seven BE-4 engines. Burning liquefied natural gas and liquid oxygen, these are the same BE-4 engines that will power United Launch Alliance’s (ULA) new Vulcan rocket. The 2-stage New Glenn is 270 feet tall, and a single vacuum-optimized BE-4 engine powers its second stage. The 3-stage New Glenn is 313 feet tall, powered by a single vacuum-optimized BE-3 engine, burning liquid hydrogen and liquid oxygen. The booster and the second stage are identical in both variants. The United States Army is considering a demonstration constellation comprised of a ring of small satellites in Low Earth Orbit (LEO) for telecommunications services. The potential constellation, known as the Army Global on the Move Satcom (ARGOS) system, would prove out an Army science and technology experiment, determining if such a system would be practical for filling telecommunications infrastructure gaps for U.S. ground forces. 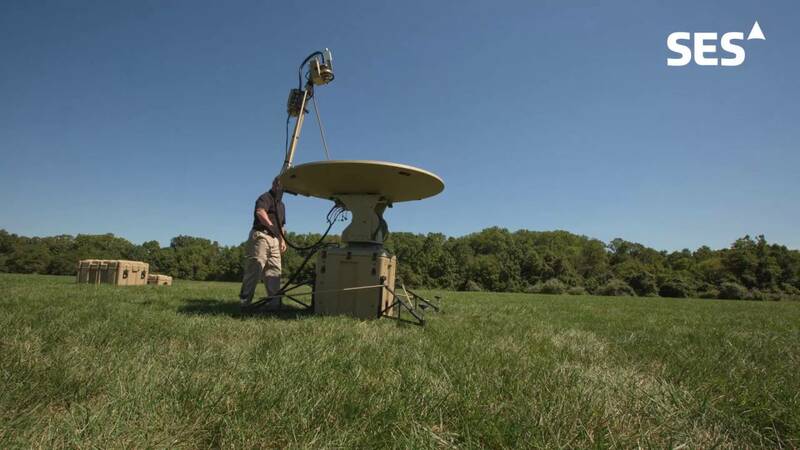 The Army has conducted two other satellite demonstrations in the recent past. In 2010, the U.S. Army Space and Missile Defense Command (SMDC) flew the SMDC Operational Nanosatellite Effect (SMDC-ONE) — the Army’s first satellite in 50 years — which demonstrated the viability of using CubeSats to relay and exfiltrate data from isolated ground sensors. SMDC flew five satellites as part of SMDC-ONE, showcasing over-the-horizon communications including voice, text message and data. The organization followed this with the SMDC Nanosatellite Program (SNaP-3), a trio of CubeSats that are still functioning today as a Joint Capability Technology Demonstration (JCTD) led by the Office of the Secretary of Defense (OSD). WASHINGTON — An explosion on a Florida launch pad early Sept. 1 destroyed a SpaceX Falcon 9 rocket and its payload, the Amos-6 communications satellite, being prepared for an upcoming launch there. 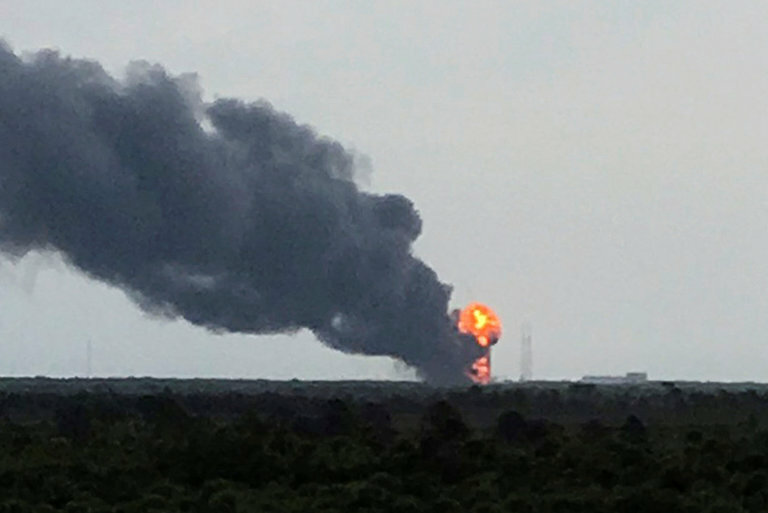 Authorities said the explosion occurred at approximately 9:07 a.m. Eastern at Space Launch Complex 40 at Cape Canaveral Air Force Station, where SpaceX was preparing to conduct a static fire test of the Falcon 9 in advance of a scheduled Sept. 3 launch. The test, which entails briefly firing the rocket’s first stage, is a routine pre-launch procedure for Falcon 9 missions. SpaceX Chief Executive Elon Musk, in a tweet four hours after the incident, said the explosion originated around the Falcon 9’s the upper stage liquid oxygen tank while it was being loaded in the minutes before the scheduled static fire test. He said there was no information yet on the cause of the explosion. WASHINGTON — NASA said Sept. 1 that the launch of an asteroid sample return mission from Florida remained on schedule for next week despite the explosion of SpaceX Falcon 9 at a neighboring launch pad. The Origins, Spectral Interpretation, Resource Identification, and Security-Regolith Explorer (OSIRIS-REx) spacecraft was inside its payload fairing atop a United Launch Alliance Atlas 5 at Cape Canaveral’s Space Launch Complex 41 when the Falcon 9 at the neighboring Space Launch Complex 40, less than two kilometers away, exploded during preparations for a static-fire test on the morning of Sept. 1. Mike Curie, a NASA spokesman at the Kennedy Space Center, said a few hours after the SpaceX incident that he was not aware of any effects the explosion had on OSIRIS-REx. The agency confirmed that assessment later in the day. WASHINGTON — NASA announced Sept. 2 that it has approved plans to launch a delayed Mars lander mission in 2018, although at an additional cost that could affect plans for later planetary missions. The InSight Mars lander, originally scheduled for launch in March, will now launch no earlier than May 5, 2018, after NASA’s Science Mission Directorate formally approved the revised mission plan this week. That launch will allow a landing on Mars in November 2018. NASA postponed the launch in December 2015 after a series of problems with one of its primary instruments, the Seismic Experiment for Interior Structure (SEIS), provided by the French space agency CNES. The instrument suffered a series of vacuum leaks that NASA concluded could not be fixed in time to permit a launch during a window that lasted about a month. WASHINGTON — The explosion Sept. 1 that destroyed a SpaceX Falcon 9 rocket and its satellite payload took place not during a launch attempt but instead in a pre-launch test that is all but unique to SpaceX. The explosion at Space Launch Complex 40 at Cape Canaveral Air Force Station occurred while the Falcon 9 was being filled with liquid oxygen and kerosene in preparation for a static-fire test, where the rocket’s nine first stage engines are briefly ignited on the pad a few days before the scheduled launch. The static-fire tests have been a standard part of pre-launch preparations for Falcon 9 launches throughout the vehicle’s history. They are intended to serve as full dress rehearsals for launches and also verify the performance of the first stage engine. Cobham Satcomis releasing the Explorer 8120 VSAT at IBC 2016 next week. The 1.2-meter stabilized, auto-acquire, drive-away antenna system harnesses the same “dynamic pointing correction” technology and carbon fiber construction introduced with the 1-meter Explorer 8100 model released last year. 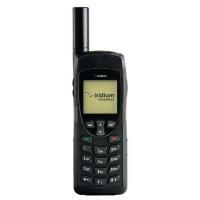 The Explorer 8120 is available in Ku-band configuration and works with most major satellite networks. The VSAT’s larger reflector dish provides for improved service availability and higher throughput across more of the satellite footprint. Carmanah, a Canada-based producer of energy-optimized LED solutions for infrastructure, has signed a far-reaching agreement with Globalstar to collaborate on the design and manufacture of new solar-powered M2M satellite solutions as well as use of the operator’s satellite constellation for remote connectivity for all strategic Carmanah products. As part of the multi-year supply agreement, Carmanah will design, develop, and supply the next generation of Globalstar devices incorporating solar power charging capabilities. “Many of our customers are interested in broadening the data capture and increasing the frequency of data transmissions from their mobile assets. When available, our new solar powered devices will support larger and more frequent data transmission capability and, most importantly, have a much longer field life than our current devices” said Dave Kagan, president and COO of Globalstar. Marlink has doubled the burst speed on its Sealink VSAT services, enabling up to 3 Mbps for users on its data allowance packages. New 40, 60 and 80 Gigabyte (GB) data allowances have been introduced in parallel to the burst speed increase, enabling users with high bandwidth requirements to extend their smart shipping and crew welfare strategies. Combined with the potential for faster internet access, the new Sealink allowances enable significantly more capacity for smarter operational efficiency and enhance crew data communications while providing access to social media and web browsing. Sealink allowances combine up to four voice lines with eight data allowance plans available from 1 GB up to 80 GB per month. Kepler Communications, a small satellite startup, is designing a constellation of CubeSats for Internet of Things (IoT) and inter-satellite communications services. The company last month announced $5 million in capital raised through an oversubscribed seed round, along with plans to potentially deploy an initial service in the second half of 2017. Kepler’s goals are to provide a vastly improved IoT backhaul for customers on the ground, as well as real time access to satellites in the same orbit. In an interview with Via Satellite, Co-Founder and CTO Wen Cheng Chong said the fresh capital has given the company the means to start building out its system. SES and SpaceX have reached an agreement to launch SES 10 on a previously flown Falcon 9 orbital rocket booster later this year. The mission is currently scheduled for the fourth quarter of 2016 to put the satellite on its way to geosynchronous orbit for telecommunications services over Latin America. “Re-launching a rocket that has already delivered spacecraft to orbit is an important milestone on the path to complete and rapid reusability,” Gwynne Shotwell, president and Chief Operating Officer (COO) of SpaceX, said in an Aug. 30 press release. SpaceX previously announced intentions of reusing a rocket with a commercial customer earlier this year at the SATELLITE 2016 Conference & Exhibition. Elon Musk, CEO and chief designer at SpaceX,made similar comments in a NASA press conference this spring following the landing of the company’s second booster after launching a Dragon capsule to the International Space Station for the Commercial Resupply Services 8 (CRS-8) mission. SpaceX tweeted Aug 30 that the SES 10 mission will use that same booster from CRS-8. 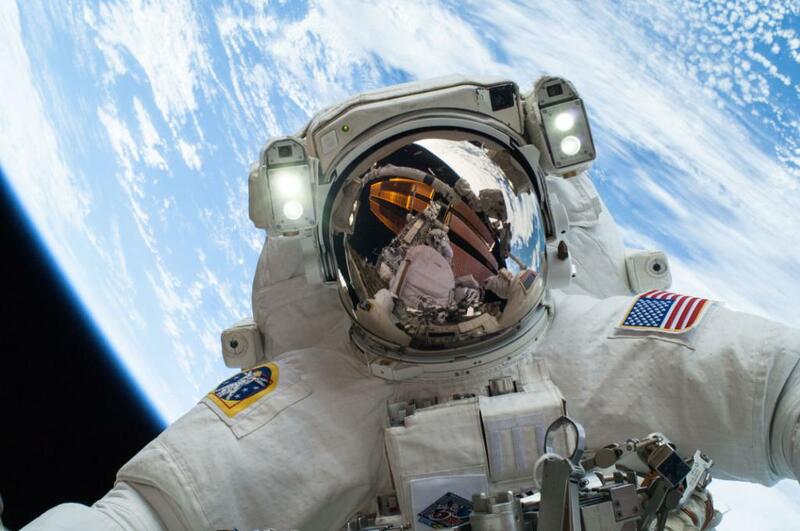 The NASA mission delivered roughly 3,200 kilograms, or 7,000 lbs of cargo to the ISS in Low Earth Orbit (LEO). 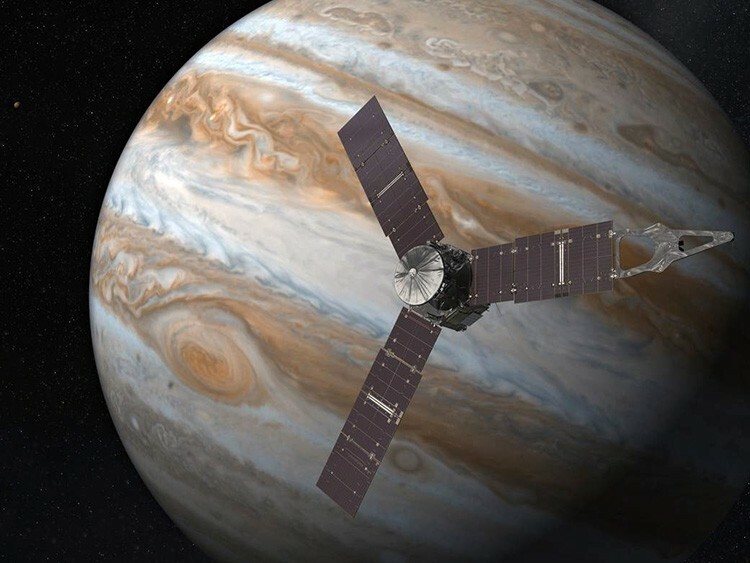 Braving intense radiation, NASA’s Juno spacecraft successfully completed its first low-altitude swing around Jupiter early Saturday, passing within about 2,600 miles of the giant planet’s cloud tops at a velocity of some 130,000 mph, the space agency said. A single image posted on NASA’s Juno web page showed a half-lighted Jupiter and its great red spot, along with numerous atmospheric bands and swirls. Much higher resolution images are expected to be posted in the next few weeks as mission scientists process downlinked data and telemetry.